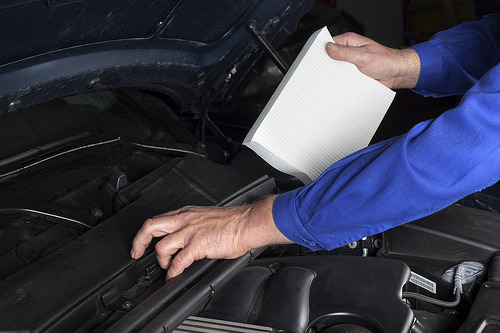 Changing your air filter is a great way to help keep your car running smoothly. The more consistently you take care of your car, the better it will run and the longer it will last. Sounds like a good deal doesn’t it? There are actually plenty of simple maintenance tasks that owners can perform on their own, like changing your air filter. And remember, if you ever need help with your car maintenance, Chip Wynn Motors is here to answer your questions. Your engine needs air to run, but the air that gets pulled into the engine is often full of debris, like dirt, pollen, or even bird feathers. How would you like breathing that in? Your engine doesn’t like it either, which is why vehicles contain air filters. These filters keep the bad stuff out. But once they get too dirty, they can no longer do an efficient job. With a dirty air filter, you don’t get the best fuel economy, and you end up putting out more emissions. Plus, dirty air is bad for your engine’s longevity. In order to change your air filter, all you need is the correct replacement. You can get this at your local auto parts store and use your owner’s manual to help you find the right fit. Changing your air filter will only take a few minutes. Start by locating your air filter under the hood. The filter is stored in a black box near the engine. Open this box and make a note of how the current filter is installed so that you can mimic its orientation. Remove the old filter and replace it with the new, then close up the box and shut the hood. That’s all it takes to change your air filter and keep your engine clean and happy. Shawnee National Forest is one of our favorite local getaway spots. Chip Wynn Motors may be located in Kentucky, but that doesn’t mean we don’t like to get out of state and visit our nearby neighbors in Illinois, Missouri, Arkansas, and Tennessee. One of our favorite local vacation spots is Shawnee National Forest. This beautiful outdoor haven is filled with plenty to do on a long weekend or a full family vacation. At Shawnee National Forest, there’s something for everyone. You’ll find miles and miles of hiking trails, including favorite routes like Garden of the Gods which takes you by stunning rock structures, and a walk around Herod Pond, the perfect place to spot wildlife and practice your bird watching skills. Shawnee National Forest also features a cool national land bridge, Pomona Bridge. 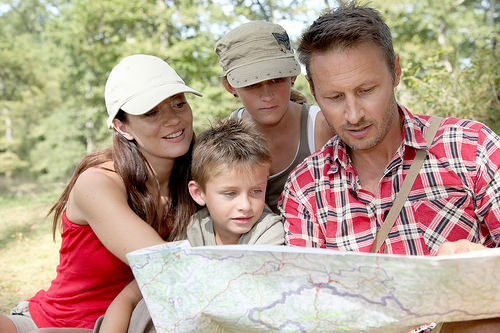 You’ll have no trouble finding a cozy camping spot, from the most primitive options to rental cabins in nearby areas. Staying a few nights in the forest will give you plenty of time to enjoy the many recreational activities, like swimming, fishing, hiking, hunting, climbing, or even horseback riding. If you love outdoor family vacations or live in the area, you’ll want to visit the Shawnee National Forest.